I looked at the extended list of herbs posted in "favorite Herbs" but didnt see Mexican Oregano posted. I have it, and really like it better than the Greek oregano. The leaf is much smaller, shiny, dark green and has the body/texture similar to a rose leaf. and looks and acts like a tamed muehlenbbeckia (wire vine) It dries very nicely. However, I have never see it listed,-although I dont know its' botanical name- but have been curious to know more about it. I would be very sad if it died! Google search shows something different from my plant,--which looks and grows on a stem more like heather, so, really I am not sure what it is I add to pizza, spaghetti, etc, but it sure tastes great! I dont think ive ever heard of Mexican oregano. Very interested though!you should post a picture. I grow Greek oregano. Like the fuzzy leaves and taste. So was just thinking, you might have Mexican marigold. Tagetes lucida. 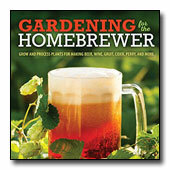 there is another thread in the herb gardening forum where were are talking about that plant. Mulberry Creek Herb Farm has a web site and they do list a Mexican oregano. It is called Lippia graveonlens. Take a look. See it too interesting! Thanks for the heads up on the new herb! Just wondering, is it hardy? Do you have it planted in the garden? Or how do you you overwinter it? I use alot of oregano. I grow the Greek in a container for eating[because of poorly drained soil], the Golden as mostly an ornamental foliage plant, a Hopley's purple for its flowers, a 'Kent Beauty' in a container[its not doing too well because the soil is too heavy, I have to repot it] and a 'Santa Curz', both of which I love for their bracts and flowers. I wish I was better at posting pictures and links, but I am geek impaired too. Yes it is quite hardy. (We live between Milwaukie and Oregon City) This plant is probably at least 7 years old. and kinda goes into stasis during the winter. However, even when it was reduced to 4 inch pot size a couple of years ago, it came back and now occupies the better part of a square foot. I do sheer off enough to dry for winter use just before it blooms. It doesn't seem to reseed, but grows from root spread but is not invasive. I think the dried form has better, brighter flavor than dried Greek oregano. I have mine planted in the herb row at the bottom of the back steps, handy to the kitchen, it is planted where it is in almost all day sun and is protected on the east side by rosemary and on the west side by Greek oregano and from the north by the deck and house. Had a lady come in looking for Mexican Oregano. She said it was an important herb for infections, they used it as a garggle. I saw the website, but only sell as a plant, anyone know of a local vendor? I wish I did, I would buy it, but I don't want to order it. i found seed at www.nativeseeds.org price aint too bad.